There is no way to sugarcoat it, the guest list can be one of the toughest parts of the planning process. Here are some ways to make it easy and fun! 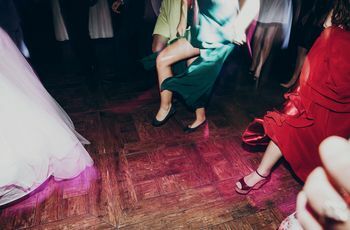 Figuring out how to make a wedding guest list is one of your first to-do’s, and one of the more stressful and time-consuming ones. It involves conversations with all parties – both sets of parents and your future spouse – to discuss how many guests you can afford to invite, the capacity of the wedding venue(s), and how many people you want to celebrate with on your wedding day. 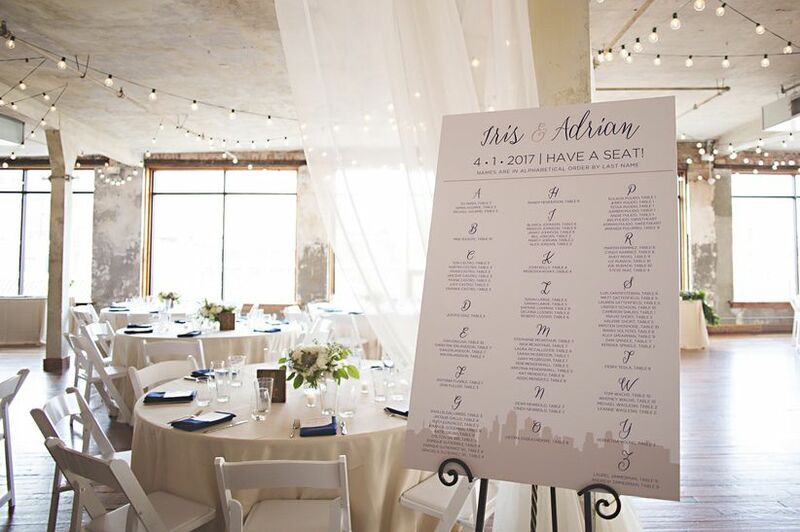 While there are plenty of tips and guidelines when it comes to how to make a wedding guest list, the most important thing to remember is to stay organized. WeddingWire’s Guest List Tool can help you keep track of everyone’s mailing addresses, RSVPs and their menu preferences too! Having everyone’s information in one place can help you easily manage your guest list and export it to the stationer, calligrapher, caterer and wedding planner. You can also manage the guest lists for other pre- and post-wedding parties, like the rehearsal dinner and post-wedding brunch. Follow our guide below to learn how to make a wedding guest list. When it comes to how to make a wedding guest list, first think about the wedding you’re envisioning. Is it intimate with only your nearest and dearest? Are you looking to party with hundreds of friends and relatives all night long? 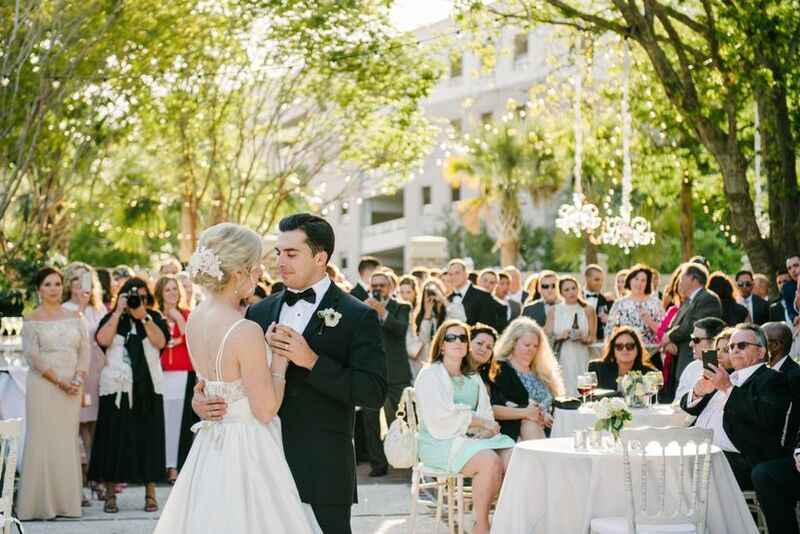 Are you planning a destination where most guests will be traveling to your wedding? Do you prefer an adult-only celebration or are there lots of kids to invite? After you’ve decided on the type of wedding you want start drafting your guest list with the names of the people you want there. 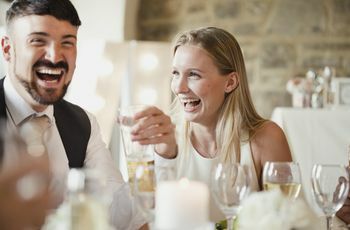 Traditionally, the people paying for the wedding will get to invite more of their friends and relatives, but with more couples and parents splitting the budget between them, dividing the guest list into thirds is fair: The couple gets a third of the list for their friends and co-workers, while each set of parents gets a third for relatives and their friends. Make sure to tell your parents they don’t have to use all the spots allotted to them. If, for example, mom and dad don’t need all 40 spots given to them, the couple or the in-laws can add to their list. What you want to avoid are mom and dad inviting people you’ve never heard of or met just to fill up their column of the worksheet. Prioritize and trim your list, if you have to. There are always going to be some people on your list who are more “important” than others. Your siblings and their spouses and kids will take precedence over dad’s golf buddies. 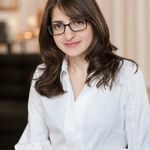 Organize the list so you have an understanding of what the numbers really are, as well as how much you can cut it without hurting feelings – a guest’s or parent’s. Once you have a ballpark figure on how many people are on the guest list, determine if the venue will fit them all and if your budget will work with these numbers. If the numbers don’t add up, start cutting from the bottom until you can make them work. Never invite more people than the venue can fit, and don’t assume certain people won’t come. They may surprise you. When tallying up the guest list numbers be sure to include their plus-ones, kids and aides, if they have one. Give each person or family a final tally column so you make sure the numbers were added correctly (an online guest list tool will do this for you!). You’ll need to ensure that your numbers are correct for many reasons: catering (meals), venue (capacity/seats), stationery (invitation order), calligrapher (addressing), ordering favors, transportation, welcome bags, etc. A plus-one will only be invited if someone is married, living with a partner, engaged or has been dating the person for at least six months. 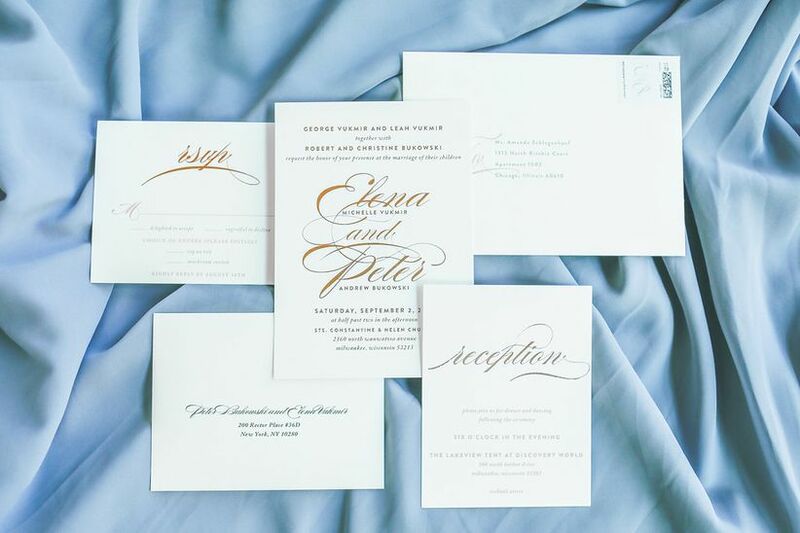 Make sure people know if they can bring a date by writing the plus one’s name on the outer envelope of the invitation. Kids will be invited if they are a niece, nephew, or godchild of the couple, or perhaps you’d prefer not to have any kids at the wedding. Setting a general children’s rule will make it easier than having to choose whose kids get to come to the wedding and who needs to call a sitter. If you’re having a destination wedding, and don’t want kids to attend the wedding, realize that some parents may have to bring their children with them to the destination any way. The parents will appreciate an offer to help them find a sitter service to watch the kids while they’re at the wedding. If you haven’t spoken to the person in over a year, don’t feel obligated to invite them to your wedding, even if they invited you to their big day. Extended family members can add a lot of numbers to your guest list. Decide where you want to draw the line, possibly at first cousins – yours and your parents – where you would not invite second or third cousins. Once you’ve determined the maximum number of guests you can invite to the wedding don’t change the guest list, unless it’s to remove people. 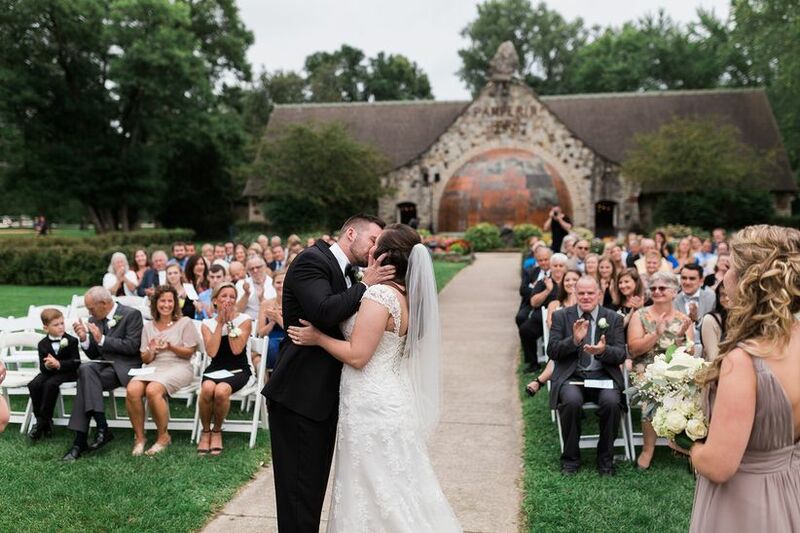 Your wedding venue can’t magically add tables if the room can’t fit it. The only way to add more people is if someone sends regrets, you decide not to invite someone after all or you choose a larger venue. Make sure your parents are made aware that the guest list has been finalized and they can’t invite anyone else. Figure out where to cut family off. Talk with your parents about how many extended relatives you should be adding to your guest list. If you spend every holiday with all of your aunts and uncles and first cousins they should probably make the list but hold off on great-aunts and uncles as well as second or third cousins unless you’re very close with them. Sometimes it’s better to invite someone than to cause a rift in the family. For relatives you don’t invite, you may want to mail them a wedding announcement after the big day to share the news! 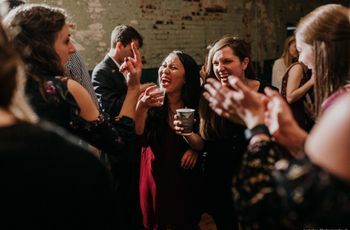 Deciding who from the office you should invite is one of the most commonly-asked wedding etiquette questions as it pertains to how to make a wedding guest list. The answer will depend on your outside-the-office relationships and how large your team is. For example, your immediate boss and assistant may be the first co-workers you add to your guest list. You may also want to consider the co-workers you eat lunch with daily and hang out with after work or on weekends. If you work on a small-ish team, consider inviting the team, but if you work with more than a handful of people don’t feel obligated to invite all of them. Remember that you will have to invite married and engaged co-workers with their partners, which bring the numbers up. It’s also okay to not invite anyone from the office to your wedding. They’ll understand. What if potential guests invited you? Friendships change over time, so you shouldn’t feel the need to send a wedding invitation to a couple just because you danced at their wedding. If you’re no longer as close as you once were it’s alright to decide not to invite them. However, if you’re still friendly but you’re planning a smaller, more intimate wedding, it’s okay to not include them on your guest list, or you’re A-list. Just let them know what you’re planning for your wedding. If you have mutual friends that will be going to your wedding let them know that you aren’t inviting someone so they don’t talk about your plans in front of them. Just because you’re not inviting someone doesn’t mean you want to hurt their feelings or create an uncomfortable moment. What if they already sent a gift? 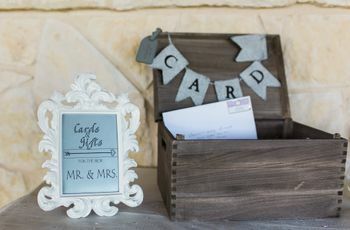 In the weeks after your engagement you may receive cards with well wishes and even engagement gifts, regardless of whether or not you’ve had an engagement party. If someone you weren’t planning on inviting to the wedding sends you an engagement gift you should not feel obligated to send them an invitation—it can make figuring out how to make a wedding guest list very difficult. If it’s a friend of a parent or grandparent, let them know that there isn’t room on the guest list to invite this person and they, if asked, can let him or her know that the wedding will be an intimate affair. If you’ve received a wedding gift from someone not on the guest list, simply send them a thank-you note for their well wishes. You do not need to add them to the guest list at the last minute. Sometimes friends fight, but that doesn’t mean the friendship is over. If after you’ve sent out a save the date you’ve had a falling out with someone, you may reconsider having them as a guest at your wedding. Think about whether this argument is the end of your friendship or not. If it isn’t, send them an invitation and he or she will know that you still want them in your life. Can you invite your ex? Some people remain close with their exes and may want to invite them, or even their families, to their wedding. Have a conversation with your future spouse about how you both feel about having this person, or family, at your wedding. If it makes one of you uncomfortable don’t extend an invitation. Sometimes it’s hard not to mention the upcoming wedding in conversation, even with someone not on your guest list. Saying in passing, “You should come!” or “We’d love to have you!” is letting the person know to expect an invitation. And when one doesn’t arrive it could hurt their feelings or even embarrass them or yourself. It’s okay not to invite everyone you know and interact with. If someone is excited for you simply say, “Thank you.” You don’t have to send them an invitation for their well wishes.